Balance is key in one’s life whether it be through what we do in our day or even how we treat our palate. We offer a balance between bitter and sweet with our Strawberry Flavoured Hibiscus Tea . The sweet notes derive from the inclusion of strawberries while the bitter notes, perhaps better described as sour notes, derive from the hibiscus. Combined, these ingredients are a match made in heaven. 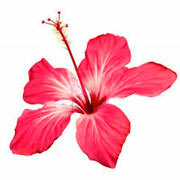 Arguably better still is the fact that Hibiscus, in particular, can support healthy living in a multitude of ways. Scientific studies have long suggested correlations between the frequent consumption of Hibiscus and lower blood pressure. Furthermore, other studies support the prospect of Hibiscus relieving menstrual pain in women and even boosting the metabolism, which in turn helps the body to burn fat quicker and more efficiently, thus supporting weight loss. There is much to appreciate with our Strawberry Hibiscus Tea. Choose this beverage for your taste buds or choose it for your health. Choose it for you or choose it for your friends. Whatever your reasons may be, balance is guaranteed with our Strawberry Hibiscus Tea. Most of us are familiar with Strawberries. We grow them in our garden. We enjoy them in our desserts. People are less familiar with Hibiscus, however, or at least less so than everyone’s favourite sweet fruit. So, what do you need to know about Hibiscus? There are an estimated three hundred species of the Hibiscus plant, which is a genus of flowering plants in the mallow family, Malvaceae. It grows around the world, notably in countries in Africa, Europe and North America. The plant can flourish in temperate, subtropical and tropical climates, although under the right conditions, it can also thrive in indoor environments, making it an extraordinarily versatile plant. Best recognised for its stunning flowers, ranging in colours from white, pink, red, orange, peach, yellow and purple, Hibiscus is known by many names. In Australia and Indonesia, it’s called “Rosella Tea”; in the Caribbean, “Sorrel Tea”; in Egypt and Sudan, “Karkade Tea”; and in India, it’s named “Gudhal Tea”. Perhaps there’s a name that best suits the region you live in? Regardless, one is getting the same delicious beverage no matter its title. That’s the beauty of our Strawberry Hibiscus Tea, as well as all Hibiscus Teas. But it’s not a new phenomenon. Far from it. Hibiscus Tea has existed for hundreds of years. The Egyptian Pharaohs favoured it to combat the fierce scorn of the desert heat while cruising along the River Nile. It then spread to India, China, Mauritius, Hawaii, Fiji and Madagascar, and was later introduced to Europe during the 18th Century, then the United States in the 19th Century. Today, Hibiscus Tea is one of the most popular Herbal Teas in the world. Our Strawberry Hibiscus Tea honours its age-old history while adapting it to the 21st Century. Tasting Notes: Strawberry Hibiscus Tea is fruity, is enticing, is luxurious. It boasts a beautiful mixture of sweet and tart while leaving behind a pleasant aftertaste. Hibuscus Tea Benefits: According to recent statistics, 1 in 3 UK adults suffer from high blood pressure. Similar statistics are found in the USA where the American Heart Association (AHA) has conducted numerous studies. Sixty-five people aged between 30 and 70 - all of whom were considered “at risk” from their high blood pressure - were split into two groups in one such study conducted by the AHA. The first group consumed Hibiscus Tea three times a day, while the second group were given a placebo. After a six week period, the results determined that the Hibiscus group “showed an average fall of 7.2 per cent in blood pressure, with some recording a 13.2 per cent drop. The placebo group recorded a 1.3 per cent drop”. What does this mean? Drinking three cups of our Strawberry Hibiscus Tea a day could, very potentially, lead to lower blood pressure.